The economy of Jersey is largely driven by international financial services & legal services, which accounted for 53% of total GVA in 2007. Other sectors include construction, retail, agriculture, tourism and order fulfillment, such as internet based selling. Saint Helier is one of the twelve parishes of Jersey and is the capital of the Island (although Government House is situated in St. Saviour). The urban area of the parish of St. Helier makes up most of the largest town in Jersey. Saint Helier has an overall cost of living index which equates it with high cost of living locations. The overall cost of living index is comprised of the prices for defined quantities of the same goods and services across all 13 Basket Groups. The economy of Japan is the second largest in the world, after the United States at around $5 trillion USD in terms of nominal GDP and third after the United States and China when adjusted for purchasing power parity. Banking, insurance, real estate, retailing, transportation, telecommunications and construction are all major industries. Japan has a large industrial capacity and is home to some of the largest, leading and most technologically advanced producers of motor vehicles, electronic equipment, machine tools, steel and nonferrous metals, ships, chemicals, textiles and processed foods. The service sector accounts for three quarters of the gross domestic product. Tokyo is the seat of the Japanese government. Tokyo is one of the three world finance command centers, along with New York and London. Tokyo has the largest metropolitan economy in the world. Tokyo is a major international finance center, houses the headquarters of several of the world's largest investment banks and insurance companies, and serves as a hub for Japan's transportation, publishing, and broadcasting industries. Tokyo has an overall cost of living index which equates it with high cost of living locations. The overall cost of living index is comprised of the prices for defined quantities of the same goods and services across all 13 Basket Groups. Kingston has an overall cost of living index which equates it with middle cost of living locations. The overall cost of living index is comprised of the prices for defined quantities of the same goods and services across all 13 Basket Groups. Rome is the largest city and capital of Italy. The economy of Rome is characterized by the absence of heavy industry and is largely dominated by services, high-technology companies (IT, aerospace, defense, telecommunications), research, construction and commercial activities (especially banking), and the huge development of tourism are very dynamic and extremely important to its economy. Rome has an overall cost of living index which equates it with high cost of living locations. The overall cost of living index is comprised of the prices for defined quantities of the same goods and services across all 13 Basket Groups. Jerusalem is the capital of Israel and its largest city. Historically, Jerusalem's economy was supported almost exclusively by religious pilgrims, as it was located far from the major ports of Jaffa and Gaza. Jerusalem's religious landmarks today remain the top draw for foreign visitors, with the majority of tourists visiting the Western Wall and the Old City. The government, centered in Jerusalem, generates a large number of jobs, and offers subsidies and incentives for new business initiatives and start-ups. The economy of Iran is a mixture of central planning, state ownership of oil and other large enterprises, village agriculture, and small-scale private trading and service ventures. Its economic infrastructure has been improving steadily over the past two decades but continues to be affected by inflation and unemployment. Tehran is the capital and largest city of Iran. Tehran is the economic centre of Iran. About 30% of Iran's public-sector workforce and 45% of large industrial firms are located in Tehran and almost half of these workers work for the government. Most of the remainder of workers are factory workers, shopkeepers, laborers, and transport workers. Tehran has an overall cost of living index which equates it with middle cost of living locations. The overall cost of living index is comprised of the prices for defined quantities of the same goods and services across all 13 Basket Groups. This report provides you with the rank of Transport cost of living indexes as at September 2010 for each of our 300 global locations. The indexes are calculated using the prices for specific quantities of the same goods and services in each location, based on expatriate spending patterns across 13 broad categories (Basket Groups). Our calculators make use of the cost of living indexes, based on your input and Xpatulator's data, to create reports online which you can save, e-mail or convert to a pdf file. Jakarta is the capital and largest city of Indonesia. Jakarta's economy depends heavily on financial service, trade, and manufacturing. Industry includes electronics, automotive, chemicals, mechanical engineering and biomedical sciences manufacturing. Mumbai is the capital of the Indian state of Maharashtra. Mumbai is the commercial and entertainment centre of India, generating 5% of India's GDP, and accounting for 25% of industrial output, 40% of maritime trade, and 70% of capital transactions to India's economy. Mumbai is home to important financial institutions such as the Reserve Bank of India, the Bombay Stock Exchange, the National Stock Exchange of India and the corporate headquarters of numerous Indian companies and multinational corporations. The city also houses India's Hindi film and television industry, known as Bollywood. Mumbai has an overall cost of living index which equates it with middle cost of living locations. The overall cost of living index is comprised of the prices for defined quantities of the same goods and services across all 13 Basket Groups. Hyderabad is the capital and the most populous city of the Indian state of Andhra Pradesh. Hyderabad has developed into a major hub for the information technology industry in India. The city is home to the world's largest film studio, the Ramoji Film City as well as the Telugu Film Industry, the second-largest in India, known popularly as Tollywood. Hyderabad has an overall cost of living index which equates it with middle cost of living locations. The overall cost of living index is comprised of the prices for defined quantities of the same goods and services across all 13 Basket Groups. This report provides you with the rank of Grocery cost of living indexes as at September 2010 for each of our 300 global locations. The indexes are calculated using the prices for specific quantities of the same goods and services in each location, based on expatriate spending patterns across 13 broad categories (Basket Groups). Our calculators make use of the cost of living indexes, based on your input and Xpatulator's data, to create reports online which you can save, e-mail or convert to a pdf file. Chennai is the capital city of the Indian state of Tamil Nadu. Chennai's economy has a broad industrial base in the car, technology, hardware manufacturing, and healthcare industries. The city is India's second largest exporter of software, information technology (IT) and information-technology-enabled services (ITES). A major chunk of India's car manufacturing industry is based in and around the city. Chennai has an overall cost of living index which equates it with middle cost of living locations. The overall cost of living index is comprised of the prices for defined quantities of the same goods and services across all 13 Basket Groups. Calcutta is the capital of the Indian state of West Bengal. Calcutta is the main business, commercial and financial hub of eastern India and the northeastern states. It is home to the Calcutta Stock Exchange India's second-largest bourse. It is also a major commercial and military port, and the only city in the region to have an international airport. Calcutta has an overall cost of living index which equates it with middle cost of living locations. The overall cost of living index is comprised of the prices for defined quantities of the same goods and services across all 13 Basket Groups. Bangalore is the capital of the Indian state of Karnataka. Bangalore evolved into a manufacturing hub for heavy industries such as Hindustan Aeronautics Limited, Indian Telephone Industries (ITI), Hindustan Machine Tools and Bharat Electronics Limited (BEL) after India gained independence from Great Britain in 1947. Within the last decade, the establishment and success of high technology firms in Bangalore has led to the growth of Information Technology (IT) in India. IT firms in Bangalore employ about 35% of India's pool of around 1 million IT professionals. Bangalore accounts for the highest IT-related exports in the country. Bangalore has an overall cost of living index which equates it with middle cost of living locations. The overall cost of living index is comprised of the prices for defined quantities of the same goods and services across all 13 Basket Groups. The economy of Iceland is a small mixed economy with high levels of free trade and government intervention and subject to high volatility. Reykjavík is the capital and largest city of Iceland. Reykjavík is is the only metropolitan area in Iceland. As a highly modernized capital of one of the most developed countries in the world, its inhabitants enjoy a first-class welfare system and city infrastructure. Reykjavik has an overall cost of living index which equates it with high cost of living locations. The overall cost of living index is comprised of the prices for defined quantities of the same goods and services across all 13 Basket Groups. This report provides you with the rank of Education cost of living indexes as at September 2010 for each of our 300 global locations. The indexes are calculated using the prices for specific quantities of the same goods and services in each location, based on expatriate spending patterns across 13 broad categories (Basket Groups). Our calculators make use of the cost of living indexes, based on your input and Xpatulator's data, to create reports online which you can save, e-mail or convert to a pdf file. 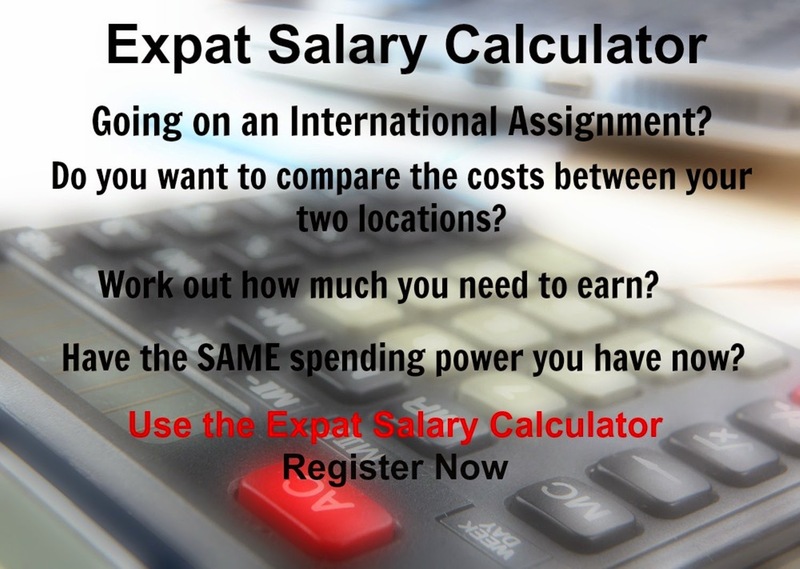 We can conclude therefore that Expatriate Pay is primarily determined by factors outside the host country as well as differences between the host country and the Expatriate's home country. Local Pay is primarily determined by factors within the country, such as strength of the economy and the supply and demand for skills. The economy of Hungary is a medium-sized, structurally, politically and institutionally open economy in Central Europe and is part of the European Union's (EU) single market. Like most Eastern European economies, the economy of Hungary experienced market liberalisation in the early 1990s as part of the transition from socialist economy to market economy. Budapest is the capital of Hungary. As the largest city of Hungary, Budapest serves as the country's principal political, cultural, commercial, industrial, and transportation center and is considered an important hub in Central Europe. Budapest has an overall cost of living index which equates it with high cost of living locations. The overall cost of living index is comprised of the prices for defined quantities of the same goods and services across all 13 Basket Groups. South Asia is the least expensive region in the world for expatriates to live in. The most expensive city surveyed is Mumbai (ranked 94 in the world), followed by New Delhi (ranked 127 in the world), and Chennai (ranked 129 in the world). The Indian Rupee has weakened by 7% against the United States Dollar over the past two years. The cheapest city in South Asia is Thimphu in Bhutan (ranked 298 in the world). therefore to be older than the average employee. Nationals on accelerated programs, with some exceptions, tend to be relatively young when they become supervisors. They also tend to be recruited from university and immediately enrolled in a multi-year graduate development program, and as a result have experience of only one or two organizations, compared to the broad experience gained in four to eight organizations of the average expatriate. This presents a challenge for a young manager with an older more experienced expatriate reporting to them. Younger managers are often afraid of managing older more experienced expatriates. They don’t know how to manage them. They are aware that the expatriate knows more than they do, at least about the technical and practical aspects of the job. Younger managers often find it difficult to tell them what to do and to hold them accountable, especially when they try to boss around the more experienced expatriate. Sometimes they just ignore the older expatriate which leads to a dysfunctional team. The fundamental change required is to try and change the management culture from one of top-down command and control to a way of managing which engages employees. The feature of command and control is that employees should do what the manager says because they are the boss and because the manager assumes they know more than their subordinates. And this is where the frustration occurs for many expatriates, particularly those that are older and may have previously been in a bigger job. “I have been hired because of my experience but my boss acts like he knows it all and does not need me”. The key is to teach younger managers how to engage their team especially the older members of the team. The central theme should be that you are a partner with the expatriate and you’re making decisions jointly. Getting away from this situation requires a way of managing which engages older employees, engages their input, asks them for advice, involves partnering and sharing more than traditional managers might be comfortable doing. The economy of Honduras is mainly based on agriculture. Honduras has extensive forest, marine, and mineral resourcesbut the lack of arable land, and a small domestic market continue to impede economic progress in Honduras. Unemployment is estimated at above 25%. Tegucigalpa is the capital city of Honduras and is also the country's largest city. Tegucigalpa, as a colonial city, has several barrios in the oldest districts of the city and Comayaguela, and colonias in the new ones. None of them have well-defined limits or even town-centers. Tegucigalpa has an overall cost of living index which equates it with low cost of living locations. The overall cost of living index is comprised of the prices for defined quantities of the same goods and services across all 13 Basket Groups.